Below are all back issues of Happy Trails, which you can subscribe to from this site. <!-start repeat --> March 25, 2019 -- March Hiking: What's Magnetite Got To Do With It? January 25, 2019 -- January Hiking Goodness: Resources, Giveaway, Bothies! June 27, 2018 -- June Hiking! May 24, 2018 -- May-be You're Hiking Today? February 26, 2018 -- Just keep hiking! January 26, 2018 -- Ready To Plot? November 22, 2017 -- November Already?? October 26, 2017 -- October Trail Greetings! July 28, 2017 -- July greetings, hiker! May 25, 2017 -- May I Share These Hiking Tips? April 26, 2017 -- April Hiking News! July 25, 2016 -- July Hiking Anyone? December 28, 2015 -- A Hiking Solution! October 26, 2015 -- Transition Season Hiking - What's Not To Love? September 28, 2015 -- "App-y" Hiking! August 26, 2015 -- How Are Your Feet Holding Up? July 24, 2015 -- H-I-K-I-N-G! June 20, 2015 -- Hiking Just Cause? 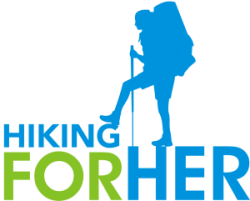 May 25, 2015 -- Do You Live To Hike? February 22, 2015 -- Trail Snacks Are Not Optional! January 19, 2015 -- Howdy, Hiker! What motivates you? December 16, 2014 -- Can you feel the excitement? October 27, 2014 -- Hiking Inspiration Anyone? September 12, 2014 -- Puzzled by hiking? August 19, 2014 -- Got Dirt? or a Baby? May 05, 2014 -- Why Do You Hike? March 06, 2014 -- Got Muscle? February 09, 2014 -- Are You Water Resistant/Repellant/Proof? January 12, 2014 -- Got Any Trail Adventures Planned? September 20, 2013 -- Hiking makes you more creative! August 16, 2013 -- Are You In The Hiking Flow? March 21, 2013 -- Why hike? January 19, 2013 -- Happy Trails: Wild or Weird? August 31, 2012 -- Happy Trails: Are your boots dusty? June 22, 2012 -- Happy Trails: Summer is here, where are you?